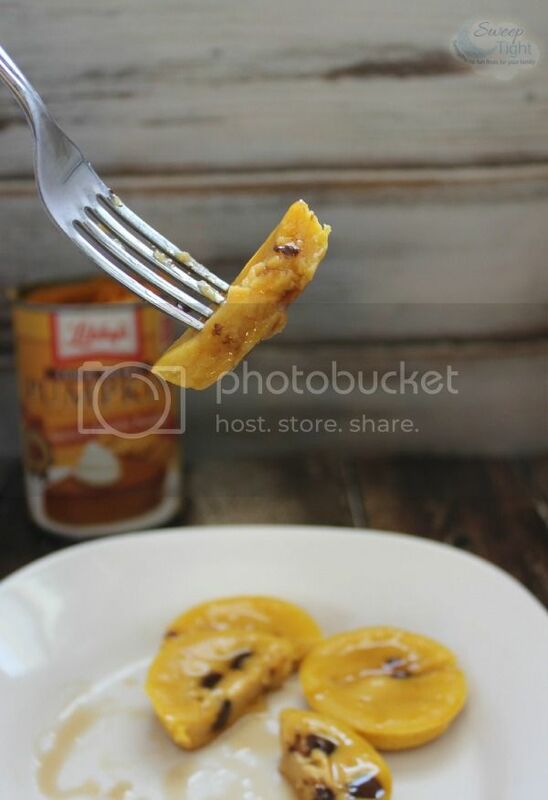 Pumpkin is an extremely versatile vegetable and should not be limited to only fall recipes. Sure, everyone loves pumpkin pie and other deliciously sweet pumpkin goodies around Thanksgiving, but what about the rest of the year? In this house you can find a Pumpkin Can in the cabinet all year round. This post brought to you by Libby’s. All opinions are 100% mine. Pumpkin is a superfood. It’s packed with beta carotene, fiber, vitamin A and more. It can be used in some recipes to cut the amount of sodium, fat, and/or calories. On many occasions it can be used in place of butter, eggs or oil. It can even be incorporated into breakfast, lunch, dinner, snacks and beverages quite easily. Many of us think pumpkin and associate it with a rich flavor. That’s not really the case when using Libby’s Pumpkin. In many fall recipes that I make you have to add pumpkin spice and other seasonings to get that super “pumpkin-y” taste. My point is that using pumpkin puree as a replacement for other ingredients won’t necessarily make your dish taste a lot like pumpkin. To test this out I made some pancake bites. The recipe that I based this creation on originally called for oil. I substituted pumpkin and used no oil. 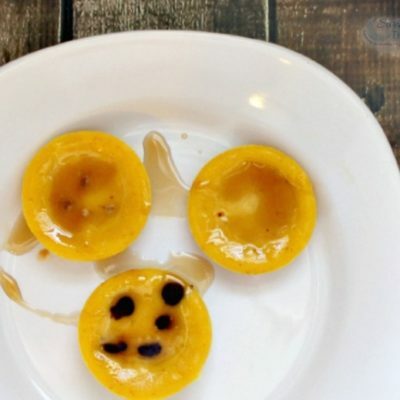 Mini, baked pancakes using pumpkin instead of oil. Optional: Any toppings like nuts or chips. Fill tins less than half way. Eat like you would a normal pancake. Basically, these bites tasted like pancakes to me. I didn’t even notice any pumpkin flavor. They were a little more dense and less fluffy than some pancakes, but still a great texture. I added some butter and syrup like any pancakes and loved them. I made some with toppings and some plain and really preferred the plain ones. It’s totally up to you and your preference! This experiment has made me a lot more comfortable using pumpkin to replace oil and I will happily do it again! Using it as an oil substitute means we will have cans of Pure Pumpkin in our cabinets all year round. No need to wait for “pumpkin season” anymore. We can whip up our favorite fall goodies whenever we have a craving. Have you ever tried using pumpkin instead of oil, butter, or eggs? Oh, what a unique idea, looks delicious! I have all the ingredients to make this but the pumpkin, adding it to my grocery list. Thanks!! 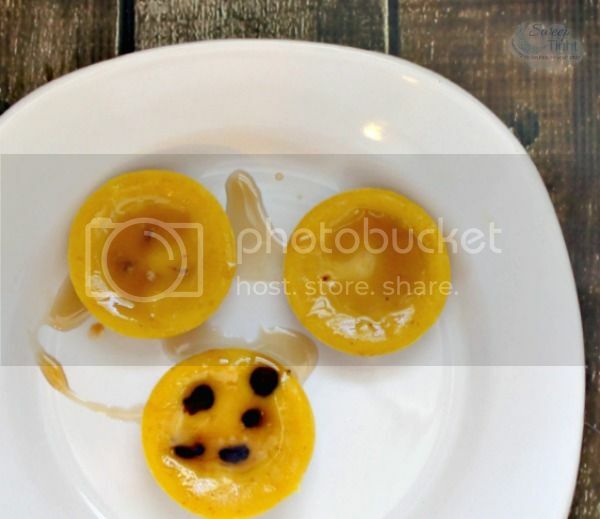 We love pumpkin in our house, so I am sure my family will adore these! I will have to make them for my family this weekend. Never been a huge fan of pumpkin, other than during the Halloween season. Didn’t realize you could purchase it canned! These didn’t taste like pumpkin to me at all. Just like pancakes only without the oil!! Bonus. This is a neat idea. I like that you can make a lot of pancakes at once. Delish! Those look so good and yummy! Love all things pumpkin! You have my vote here. I love pumpkin. I love pancakes. What a perfect match. There is no need for syrup either. I never buy any other brand but Libby’s. I trust them. those look great, perfect portions! What a nice idea to use pumpkin! My kids would love these pancake muffins! Oh delish! Can’t wait to try these!!! Pancake Bites look really good! I wish I could try some about now. Im super hungry for something sweet. I’ve never known you could swap out pumpkin for oils! I’m going to try that!! 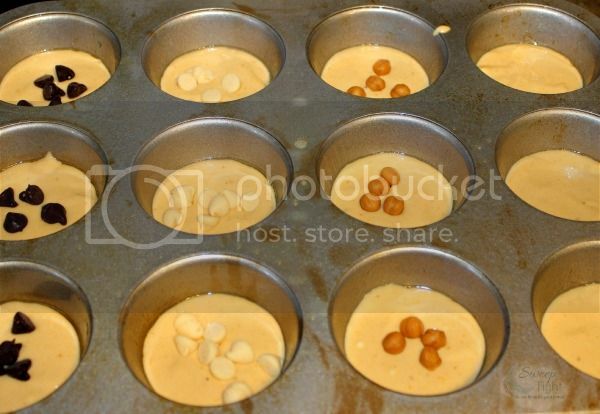 That’s so creative you used your muffin pan to bake pancake bites! And I like how you could sub pumpkin for oil. That’s funny though it didn’t leave a pumpkin taste. I love pumpkin. Those are such adorable little bites! They wouldn’t last even an hour in this house with my son around! He is crazy about pumpkin anything! I am loving all these pumpkin recipes. I will have to try these! I love the idea of subbing it for oil and the bites look so good too. I’m a breakfast for dinner girl, so I’ll have to try this! Yum! I love how cute these pumpkin muffins are. They look so delicious. I never would have thought of making them in a muffin pan. This looks yummy and so colorful. 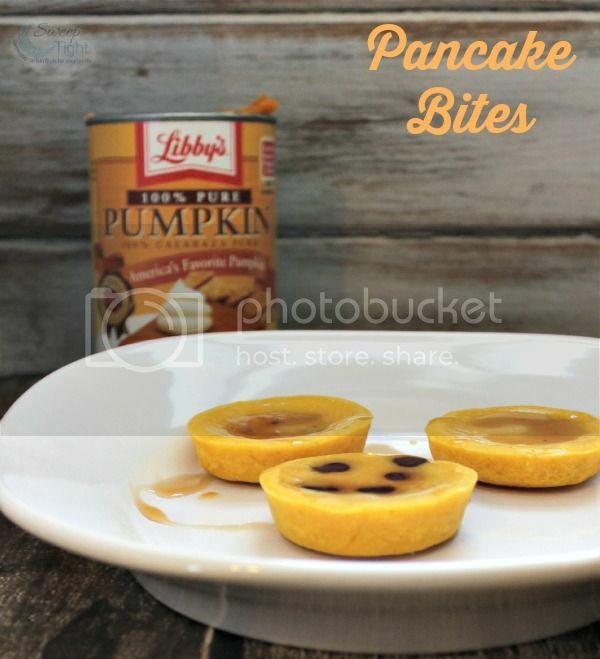 I’d love to try these, I love pumpkin. Super cute and neat idea. Thanks for sharing! That’s a great idea and those look really cute! I love pumpkin pancakes! I’ve never tried cooking it like this though…might have to give it a try! I have heard of applesauce but not pumpkin. This would be a healthier way to go and anything orange is great for you. Thanks for the idea and I will be trying this one soon. I have never tried using pumpkin in place of oil, butter, or egg but I’d love to give it a try. These pancake muffins look delicious, I can’t wait to try them. Thank you for sharing this recipe.